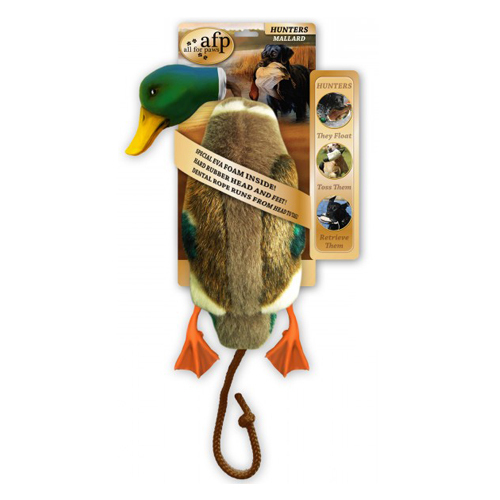 The Hunter Mallard looks like a real duck and provides hours of fetching fun for dogs with a hunting instinct. The duck's body consists of a soft, plush outside and EVA foam on the inside. The EVA foam allows the toy to float on water. Its head and feet are made of durable, hard rubber that dogs can sink their teeth into and the rope can be used to throw the duck further away. Have you used AFP Hunter Mallard before? Let us know what you think about this product.